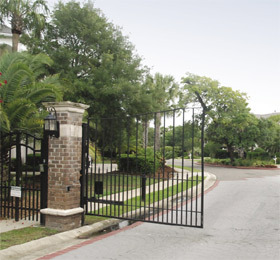 A gated community within an exclusive gated community, Ocean Point is within easy driving distance of booming Mount Pleasant and historic Charleston. Its residents and visitors enjoy two world-class golf courses, a top-rated tennis facility, customized fitness programs, hiking, biking and swimming and proximity to the Atlantic Ocean, which laps gently against a broad and inviting beach. Taken separately, each of these factors would be reason enough for a closer look at purchasing a permanent home, a vacation home or an investment property in Ocean Point. Considered as a whole, they represent the ultimate in coastal Carolina living. The best reason to live in Ocean Point just might be what residents see when they gaze through their windows or relax on their airy porches. The neighborhood is tucked away at the northeast tip of the Isle of Palms in the Wild Dunes community, offering stunning views of the ocean, nearby Dewees Island, Dewees Inlet, the Intracoastal Waterway, fertile marshland and the Links Course. The two finishing holes of the par 70, 6,396-yard layout hug the coastline between Ocean Point and the Atlantic. Wild Dunes also is home to the Harbor Course, a par 70, 6,446-yard layout that winds around salt marches and the Intracoastal. Both courses were designed by the legendary Tom Fazio. Wild Dunes first gained fame as a tennis resort, when the Sea Pines Company established the 1,600-acre Isle of Palms Beach and Racquet Club in the 1970s. For nearly three decades, Wild Dunes has maintained the standards that earned honors as one of Tennis magazine�s top 50 tennis resorts in the United States. Most of the 70 homes in Ocean Point � the 71st is currently under construction on the neighborhood�s last available lot � have been built since Hurricane Hugo swept through the Lowcountry in 1989. They range from 1,800 square feet to more than 6,000 square feet, and among them are a group of 2,500-square-foot and larger Charleston singles. 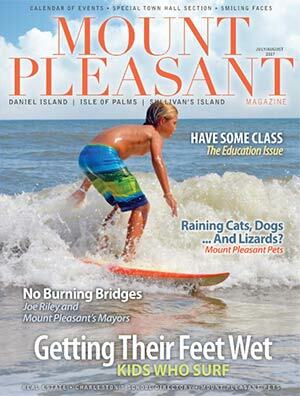 The two- and three-story homes with garages beneath are situated on Ocean Point�s narrower lots. Homes in Ocean Point sell for around $1 million to approximately $3 million. The purchase price includes magnificent views and the opportunity to enjoy the best the Carolina coast has to offer.